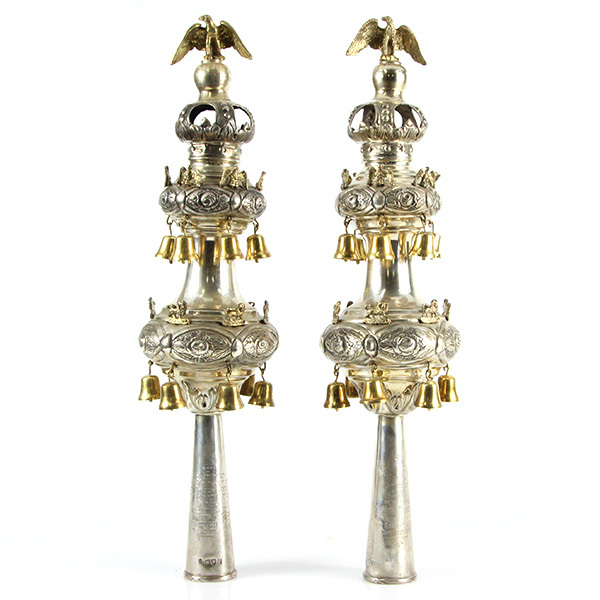 Pasarel - Pair Of Sterling Silver Torah Finials (Rimonim), Moses Salkind, London, 1909. Pair Of Sterling Silver Torah Finials (Rimonim), Moses Salkind, London, 1909. 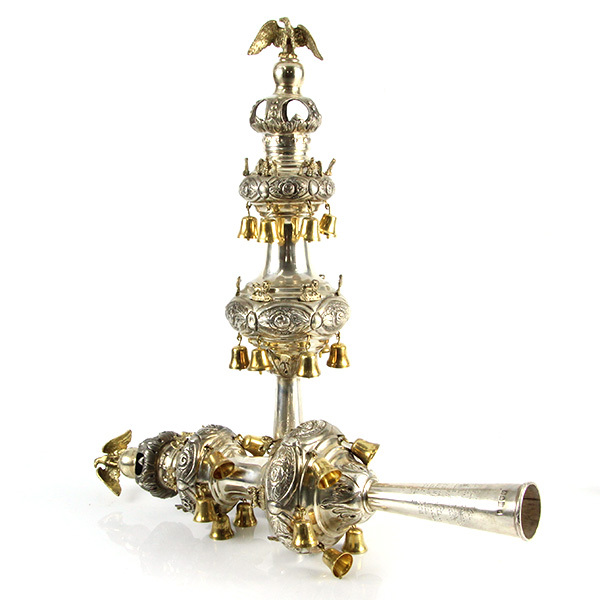 The finials are chased with foliate ornaments, each hung with 12 bells and applied with six eagles and six lions (all gilt). 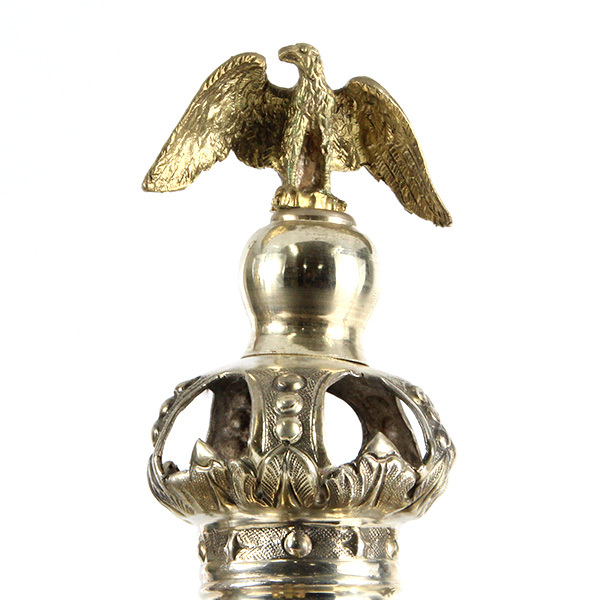 Topped with a gilded eagle finial. The stavs are engraved with a dedication (one in English and one in Hebrew) that reads – “Presented to the central synagogue by the children of the late Mrs. Yetta Weinberg, in loving memory 2nd Adar 8th 5670, March 19th 1910″. 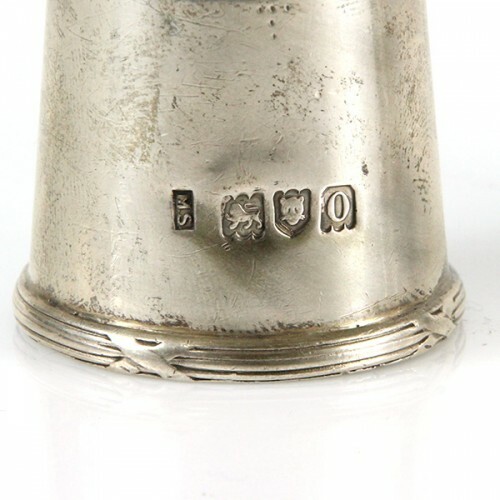 This inscription appears to refer to Yetta, wife of Jacob Weinberg, a waterproof maker; they were both born in Poland, she about 1855, he in 1853. The 1901 census records them living at 48 Elizabeth Street, Cheetham, Manchester, together with their sons, Lay, Barnet, and Hyman and daughters, Annie and Lily. Mrs. Weinberg died in 1906. 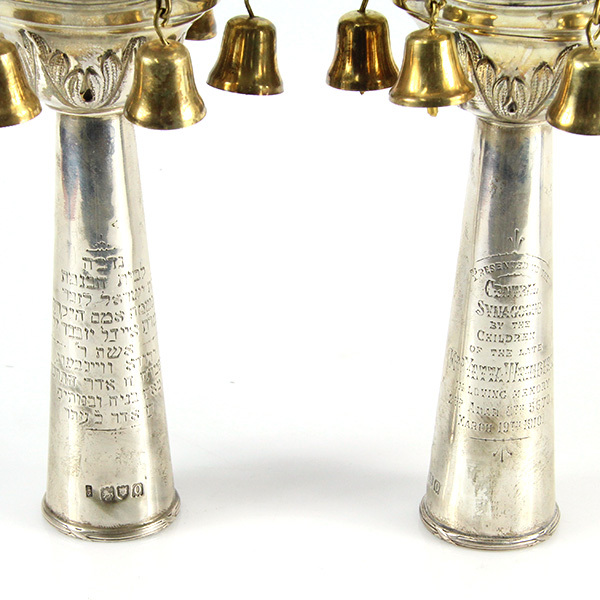 Jacob Weinberg who re-married in 1910, was the founder of J. Weinberg & Son, well-known manufacturer of waterproof garments, which, following his death in 1925, was continued by his son, Hyman (Henry). For further information, see Greater Manchester County Record Office (ref. 3165, a collection of photographs and family papers). Fully hallmarked (in several places) for London, England, dated 1909, maker’s mark for Moses Salkind. 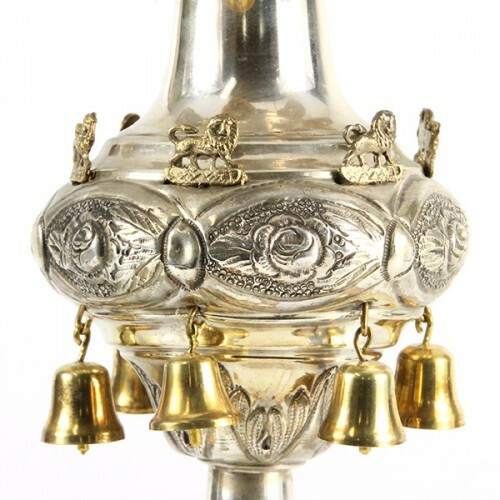 Height – 41cm / 16.14in. Stav’s diameter – 4cm / 1.77in.